To resolve this problem, here I am going to share some useful information and my experience regarding how to resolve the export issue with excel ‘s 65,536 records limitation while working in SSRS. 2. What is Excel 2003’s 65,536 records limitation? Microsoft Excel 2003 has a limitation of 65,536 records in a sheet. 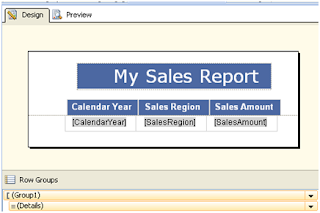 As we know that SQL Server Reporting Service is one of the most popular tools for creating the reports. 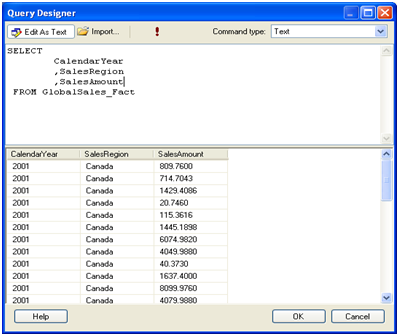 Many times, a developer has to create reports for bulk data. 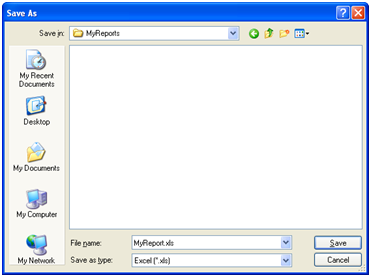 In this case, when we go to export the report, it gives error due to limitations of excel. 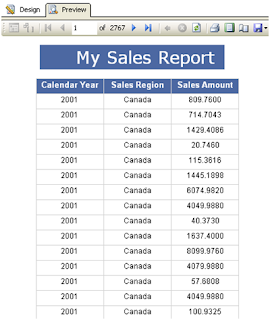 Microsoft Excel is the most flexible format to see the report. It supports dynamic reports which have drilldown, drill through and interactive sort. 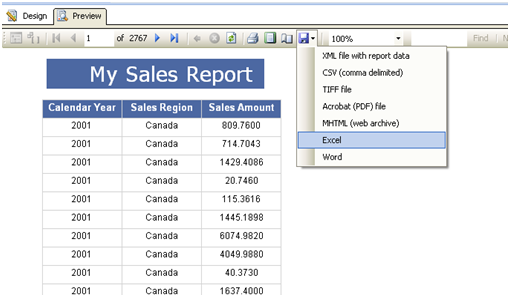 We can see the report more easily in excel as compare to other formats. So for enterprise data level, it is necessary to resolve the issue to get advantages of Microsoft excel with SQL Server Reporting Services. 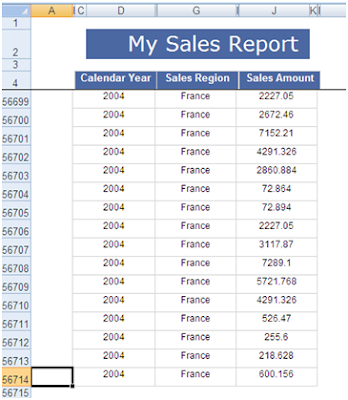 Here I am going to create a simple tabular report with a table that has more than 65,536 records. The table has 121710 records. Here I run the report for all the records available in “GlobalSales_Fact” table: You can see the report has total 2767 pages. It has 1, 21, 710 records because we are extracting all the records from GlobalSales_Fact table. 4. 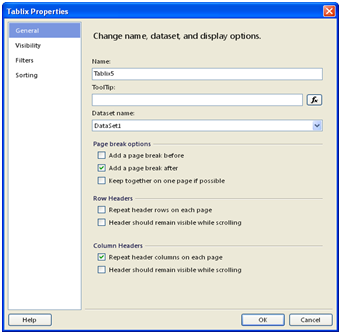 How to resolve this excel records limitation issue by using Grouping and Page Break in SSRS? v Create a Row Group: Go to Row Group pane, Right click on the Details èAdd Group è Parent Group. v Tablix Group window comes. Here we have to put GroupBy Expression for this new Group. 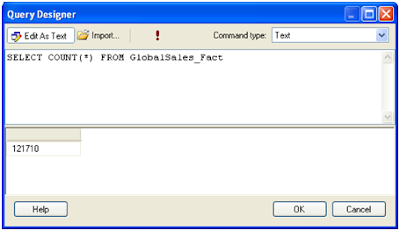 v Click on the expression button and put the expression to makes group of each 65,536 record sets. v In the Group property, go to Page Beakè Page Break Optionè Check the box for “Between each instance of a group” and “at the end of group”. v Save and Open the excel. v In the Excel sheet, Data exported into sheet1 and sheet2. Sheet1 has 65,500 records as per the grouping we implemented and sheet2 has 56710 records. By using Page Break & appropriate grouping, we can export the bulk data report from SSRS to excel 2003. This is very useful in reporting where we have to deal with bulk data e.g data warehouse. Excelent Article! A great solution for companys that still use Excel 2003. I had a problem applying this solution to a report that already had groups with totals. The group having the 65000th row was being split across two Excel tabs, with the group total calculated and displayed for each split. so the child group has it's page break only when it contains the 65000th row. Though I have not tried it with more than (65000 * 2 = 130000) rows, it should also work in this case since Group1's row numbers are reset on each grouping. The other expression I gave yesterday could apply to several groups, which results in too many tabs in Excel. Another important thing is to take account that the RowNumber fonction does not count group header and footer lines. It only seems to count lines of data. However, these lines, when added to the data lines, must be kept under the Excel limit, so take caution to use a figure lower than 65000 in these cases... especially if you have groups with two lines of data, plus a header and two total footer lines, for example. Thanks you so much Daniel for providing nice solution. I followed the same , but I got error, "RowNumber cannot be used in sort expression"
How can we apply a similar grouping on Columns so after 256 columns the rest of the columns saved to sheet2 in the same excel. 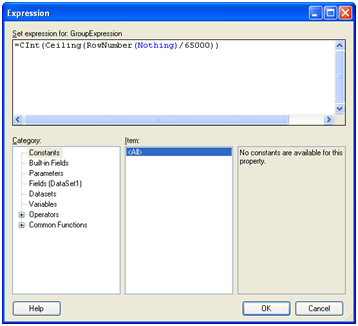 Hello I have 1505339 rows in rdlc and i am trying to exporting error occur "Exception of type 'System.OutOfMemoryException' was thrown." Below is my case. Help me to fix. I have a group which contains more than 10000 rows for some categories. I set initial toggle display for detail to hide. So that when user click + sign in group, it will show detail. Now the problem is that when group expands, it is trying to show detail in single page and browser crash. I want the drill down to show in multiple page. Any suggestions? Note: Keep together is not set. So, if toggle display and hide property for detail is not set it is showing in multiple pages which is not an issue. The issue is when I set toggle display based on group and initial render is only 7 rows with aggregated it is showing in single page. Hope I explained clearly. can anyone help me where to mention the name of tabs divided to be in above example.